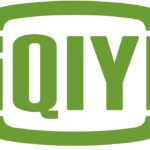 Since the start of the year, China’s iQIYI (NASDAQ:IQ) stock has been on a tear. A Chinese internet vide company, iQIYI was spun off from Chinese search engine Baidu (NASDAQ:BIDU). Those who are considering buying or selling IQ stock must determine if the rally of iQiyi stock was triggered by the passion of the market, or if the company itself is outperforming. As I wrote in August, IQ is nothing like Netflix. China’s streaming market is far more competitive than that of the U.S. Units of Tencent Holding (OTCMKTS:TCEHY) and Alibaba Group Holding (NASDAQ:BABA) have also entered the market. Both have more capital behind them than Baidu could muster, which is why IQ stock was spun off. In some ways, China’s internet video market is more advanced than America’s. More of China’s internet videos are viewed on mobile devices. The business models of the company’s streaming companies are sophisticated. iQIYI’s revenue mix is a cross between Alphabet’s (NASDAQ:GOOGL) YouTube, Netflix, and the Valve service from Stream. Founder Tim Gong said before the IPO of IQ stock that 40% of its revenue came from advertising, 33% from subscribers and the remainder from games. IQ has a licensing agreement for Netflix content, but its own shows generate most of its revenue. IQiyi skews young. It’s aimed at the generation of consumers Americans call millennials, the “Little Emperors” who have known nothing but capitalism and have grown up in one-child households. Gong says the company further monetizes its audience by selling merchandise. IQiyi’s fourth-quarter earnings , released in February, showed growth of 55% year-over-year. But that was from a relatively small base. Its total revenue for the quarter came in at $1 billion, with an operating loss of $483 million. The company’s losses are increasing as it adds new types of content, including robot fights and dance contests. As of this afternoon, IQ stock had a market cap of nearly $19 billion, meaning investors today are paying nearly six times revenue for iQIYI stock. They’re expecting another year like 2018, and the company is investing at a rate that indicates that it expects its growth to continue at the same pace, too. Assuming China’s economy doesn’t turn sour, that’s possible. China had almost 130 million people who were 25-29 years old in 2016, and another 100 million who were 20-24. That is the heart of IQiyi’s market. But births have been slowing for two decades, and there is a surplus of young men,. As fast as China has been changing this century, it’s going to change faster in the next decade. When you buy IQ stock today, you’re betting its site can change with it. Dana Blankenhorn http://www.danablankenhorn.com is a financial and technology journalist. He is the author of a new mystery thriller, The Reluctant Detective Finds Her Family https://www.amazon.com/Reluctant-Detective-Finds-Her-Family-ebook/dp/B07FSRDR4Y/, available now at the Amazon Kindle store. Write him at [email protected] or follow him on Twitter at @danablankenhorn. As of this writing he owned no shares in companies mentioned in this article. Article printed from InvestorPlace Media, https://investorplace.com/2019/03/iqiyi-stock-is-on-a-tear-but-dont-rush-to-buy-it/.